Quitting drinking requires discipline. 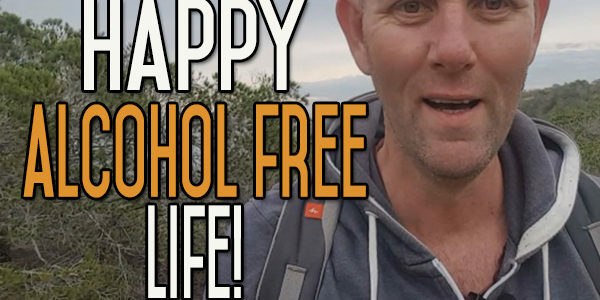 The act of not drinking anymore, of actually quitting drinking is simple. You don’t put the alcohol into your mouth anymore. Regardless of what happens, day by day, moment by moment, if you stick to that one principal – don’t put the alcohol in your mouth – then you stop drinking. It’s as simple as that. Staying off the drink and putting up with the lifestyle change and all that, that involves – the change in your life – require discipline. 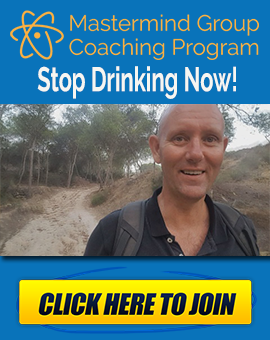 Quitting drinking will help you to feel better, it will give you back your health – to a certain degree – and it will stop the intoxification of your body. Stopping drinking will help you to see things clearly, more clearly than you have been. It will help to mend relationships and increase your prospects for the future. However, in order to really ramp this up and push yourself forwards, you have to have the mental discipline to change the other things in your life. 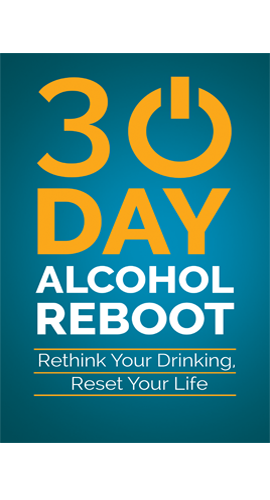 If you don’t and you keep trying to have the old life – the same life you had when you were drinking alcohol – even though you don’t drink the alcohol any more, if you try and keep the same behaviour then you inadvertently hold up the behaviour, by maintaining it. You’re keeping it there in the back of your head, because you’re going to the same places, meeting with the same people, trying to do the same things and you’ve got this missing element all the time. I think over a long period of time, you can get rid of this by reframing these situations but in general you’ve got to do a lot of hard work within your life to change the different aspects of your life. To keep pushing forward in a different direction and not regurgitating the same old, same old. That’s the mistake that I made during all those years when I was trying to quit cigarettes. I would always have a cigarette after my dinner, so I exchanged that with something else. I would always have a cigarette when I was having a telephone conversation. so, I exchanged that with something else. I’d smoke loads when I was drinking and I exchanged that with something else as well. Discipline comes in a couple of different forms. In the early days, when you’ve first stepped over the line and you’re starting on your new journey, discipline is all about saying ‘No! I don’t want that. I’m not having a drink’ and avoiding your friends for a while, your heavy drinking friends anyway and especially the ones that are egging you on and taking the piss. You just want to avoid those people at all costs. Everyone has got a good friend who should turn around and say – ‘Look at the end of the day, I support you’ – those people you want to keep on your side as much as you can but for those people who are just taking the piss, you want to avoid them. I’m not saying there’s anything wrong with those people, sometimes, it’s just part of their personality. it’s the way they deal with things and you have to accept that. But you don’t have to be with them. Having to go through the early days, means having to put up with the fact that you can’t sleep for a while and just accepting that. Accepting that you’re going to be bored for a while, until your figure out other things to do with your time. Boredom is a great motivator to get yourself up off your arse and push yourself towards finding new things to do. You have to have discipline in the beginning to push yourself past these early days and to put with the discomfort. All that disappears in the future, but you have to have the discipline in the long term, to keep faith in yourself and that this is the right path that you are on. You have to have discipline to not change your mind and to not let those thoughts slide. To keep the windows intact, you fix the broken windows and to just believe that this is the right thing for you to do, it always has been and this is what you’re going to do. You’re going to keep pushing yourself forwards and striving for something better in your life. You have to decide what that thing is, everyone has got something different to strive for, but you need that thing that motivates you, that you really love doing in your life, that you want to do it and are passionate about. 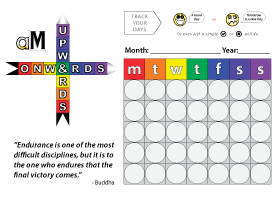 So how do you keep that personal discipline, how do you grow it? I think it requires patience, it’s like the boredom thing. Your discipline levels might be very low in the beginning. This has a lot to do with instant gratification, the instant buzz, wanting to get your buzz now. Saying ‘I don’t want to wait, I like the buzz, I want to get it now’. So, to push yourself past that requires a lot of mental discipline for one thing, and that comes with experience. Mental discipline is a skill you learn like any other skill in life. 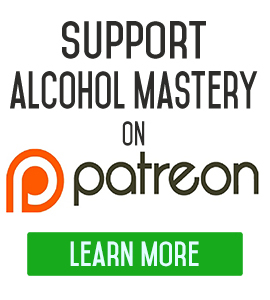 If you have any questions leave them down below, go over to the website and sign up for the Alcohol Mastery free newsletter, you get a free daily inspirational video into your inbox to help you out. I think the commitment and knowing you have chose the right path is key. If you believe 100% you have chosen the right path, you don’t need willpower, or very little. The minute you doubt the choice not drink alcohol, you are then keeping off the alcohol with willpower and I think long term willpower is not a great method. You need it to get started then you have to keep feeding your brain so it is 100% confident you chose the right path. This is an area where videos like yours and various books etc are great. Because the problem we face is even when you have got rid of the physical addiction society and the media will keep feeding your brain “your missing out messages”. This pressure can cause doubt and now your on willpower and thats a tough place to be. I think the most inspirational words here (and Kev has many!) are that mental discipline is a skill, which can be learnt. I’d always thought of it as an innate trait, which you’ve either got or you haven’t. Thanks, Kev!